JetBlue and Seaborne Airlines today began selling flights under a codeshare agreement that will offer customers increased travel options and new destinations throughout the Caribbean. 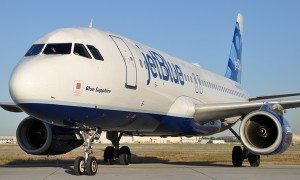 Connections will be made via San Juan’s Luis Muñoz Marín International Airport (SJU), where JetBlue is the largest carrier. 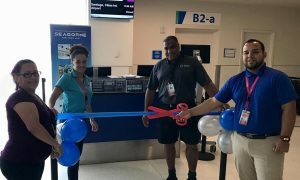 Customers flying on JetBlue and Seaborne Airlines will enjoy the benefit of traveling on a single ticket which allows for one-stop check-in, baggage transfer to the final destination, and conveniently timed connections in San Juan. Flights are available for purchase today on JetBlue.com. “This latest codeshare agreement combines Seaborne Airlines’ experience serving exciting Caribbean destinations with JetBlue’s established footing as an award-winning carrier to the region,” said Scott Laurence, senior vice president, airline planning at JetBlue. 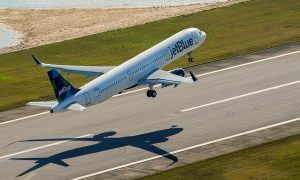 The routes add to JetBlue’s already extensive list of destinations in the Caribbean and Latin America including Grenada, Curacao, Antigua and Mexico City, which were all added to the JetBlue route map in the past year. Additionally, flights to Quito, Ecuador begin in February 2016. The partnership between JetBlue, a leading carrier to the Caribbean, and Seaborne Airlines, the largest regional operator in the Caribbean, expands upon the carriers’ successful interline agreement established in 2013.